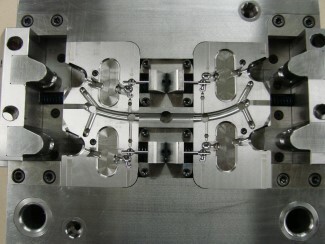 Neu Dynamics’ focus on close tolerance tooling with complicated actions enables us to provide the high-quality injection molds demanded by the medical industry. From our Solid Works based tool designs to first article inspection (FAI) testing, we offer a complete range of services designed to offer real value in high-quality medical injection molds. Neu Dynamics has supplied medical device manufacturers with a variety of tooling from hand-loaded catheter over-molds, to multiple-cavity, valve-gated, production molds.